Are you sick of suffering from ongoing soft-tissue injuries? Do you persistently sprain your ankles? Struggling with lack of confidence in your shoulders whilst playing sport? If you need to get more out of your body in your chosen sport, you’ve come to the right place! We have helped countless professional and amateur athletes. Book Now! If you’re suffering from ongoing and persistent sports injuries, you’ve come to the right place! We have helped countless number of professional and amateur athletes play more consistent sport and a high level. 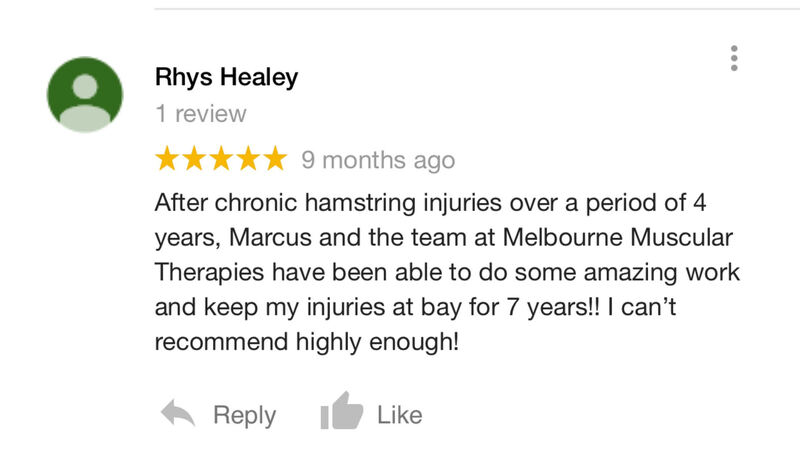 From AFL stars, professional golfers, marathon runners, and many more, we have successfully assisted athletes with their treatment and strength training. Our two-pronged approach to treatment and rehabilitation is proven to assist in effective pain-relief and injury prevention. We ‘clean’ the body of injury causing tension and stiffness, then ‘build’ the body to ensure all points of weakness are strengthen and muscular chains are working efficiently. Using our 'cutting edge' deep tissue massage techniques, we aim to 'clean' the body of all pain, tension, stiffness, and restriction. Once the foundations are clean and the pain has decreased, we aim to build strength, improve posture, enhance movement, and increase performance using our innovative Barefoot Exercise Rehab Techniques. At Melbourne Muscular Therapies we have a two-pronged approach to treatment of dysfunction. 1. The first is to ‘clean’ the body, by using our slow and penetrating technique which hits deep into the heart of the dysfunction and realigns and removes any irregularities in body tissues. This ‘cleaning’ process repairs any acute issues such as pain or immobility, which is the perfect thing to bring you quickly back to physical function and health. 2. The second is to ‘build’ the body, through our specialised strength and conditioning programs. By ‘build’ we mean realign and balance the body so that the muscular chains work in synergy, rather than having points of weakness. If the body is unbalanced, then the muscles will compensate which places pressure on the surrounding structures, ultimately leading muscular tightness and fatigue. 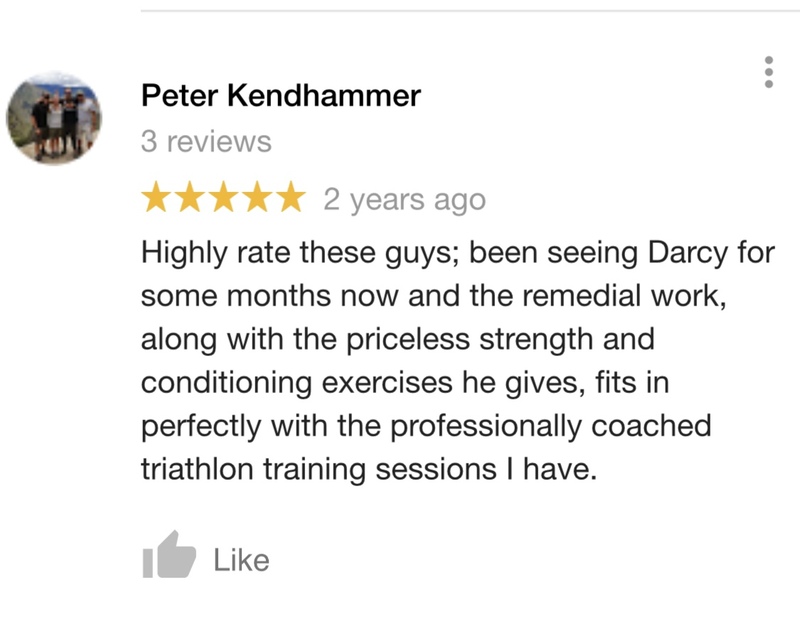 Our ‘building’ programs are designed to ‘build up’ your weak points so that your movement pattern is permanently improved, which results in good posture and long-term sustainable physical health. There could be a number of reasons for persistent injuries. Most commonly, lack of efficient strength, lack of proprioception or biomechanic awareness, lack of deep tissue treatment to ensure tissues are working at full capacity, too many compensatory patterns within your muscular chains. The possibilities are endless, however your practitioner at Melbourne Muscular Therapies will pinpoint the exact reason your injuries are occurring. What exercises will I need to do? We prescribe a wide range of exercises depending on what your dysfunction is. We will ensure to relieve all tension, previous scarring, or stiffness from musculature before entering you into our strength programming. Our programming consists of Barefoot Functional Power Training, Human Biomechanics Training, Postural Training, Sprint Training, Landing/Plyometric/Deceleration/Acceleration training.